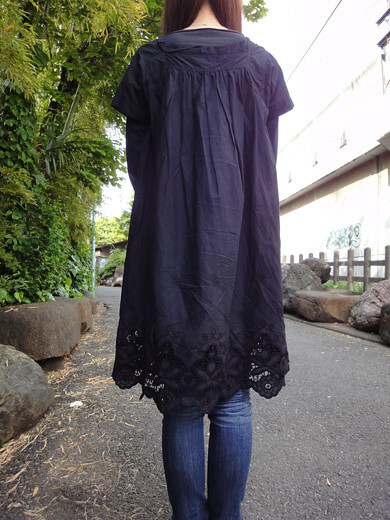 I got a cotton dress from Zucca. It was very difficult to choose the color between black and white. However, I finally decided the black one. I love the beautiful details of the lace at the bottom. Very pretty! The lace detail is really beautiful. I wish I’d find a summery lace dress as nice as this. 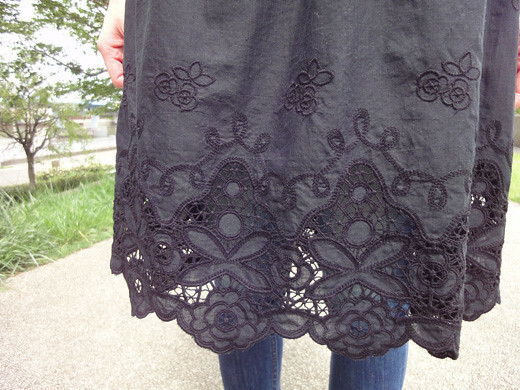 Simple top part and detailed lace in bottom make great contrast. Rinna,thanks for the comment.☆　I love your blog!